Literacy is not just about sitting down with a book … it’s about building a capacity to communicate, understand, and share ideas. There are lots of ways to build those skills that don’t always require a book. 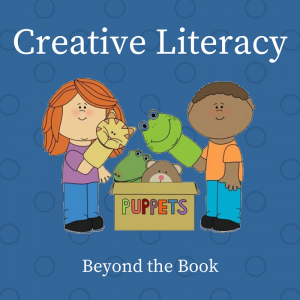 As Tricia Storh-Hunt notes in her post at The Miss Rumphius Effect, the best plan is to never Leave home without your literacy tools. Anytime we leave the house for errands we carry a bag that holds plain paper, crayons or colored pencils, and a few books that William has selected. Now the mantra before heading out is ‘Go to the bathroom and then grab a book.’ There always seems to be time to read in the car, the doctor’s office, the restaurant, you name it.